The domain name SOT.com has been hijacked, and its legitimate owner notified us that it’s being auctioned off at Sedo. The current bid is $20,000 dollars. 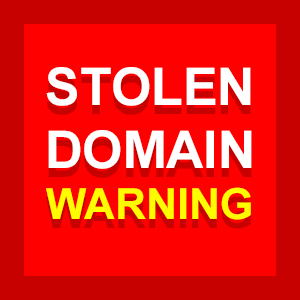 The cybercriminal selling off the domain has altered the email address of the legitimate owner, and added bogus information. From the looks of it, the thief appears to be the same prolific domain scammer that has been involved with other LLL .com and NNN .com thefts. Premium three letter .com domains such as SOT.com can fetch a pretty penny. If you are approached to acquire the domain SOT.com please note that it’s currently a stolen asset. We’ll update this post with new information when it becomes available. Update: The domain thief is now faking the WHOIS information to make it look as if the legitimate owner is using privacy WHOIS.